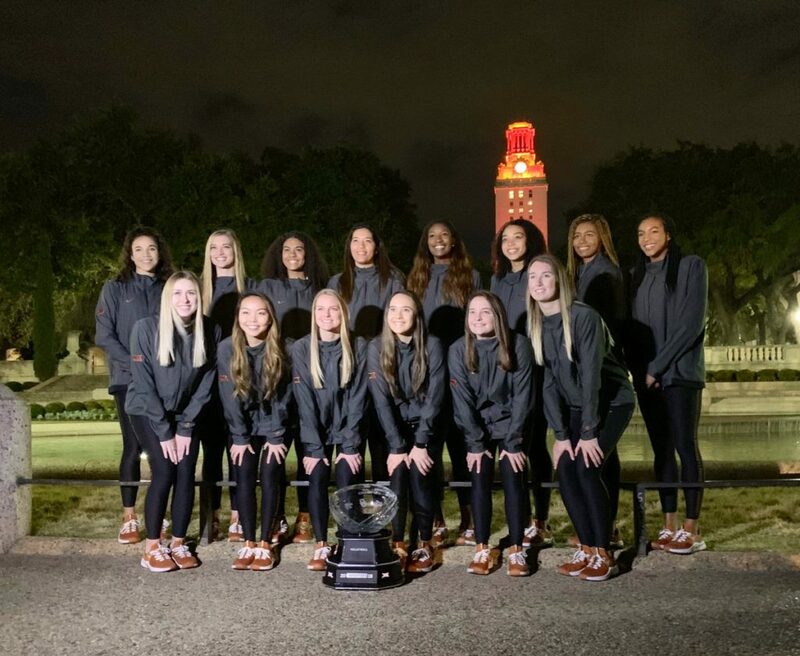 The UT Tower will be lit on Sunday evening, Nov. 25, in recognition of the University of Texas Volleyball team to celebrate the Longhorns’ 2018 Big 12 Championship. Texas earned the title outright on Friday, Nov. 16 with its 3-1 defeat of Baylor in Waco, Texas. It marks the Longhorn’s 11th Big 12 Championship and 24th conference championship (13 SWC Championships). Per UT tradition, the campus landmark is bathed in burnt orange lighting from top to bottom when a University of Texas athletics team wins a conference championship. Texas will learn its postseason fate during the NCAA Selection Show, scheduled to begin at 7:30 p.m. CT on Sunday on ESPNU.